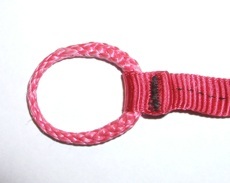 Each tail is fed through the other. 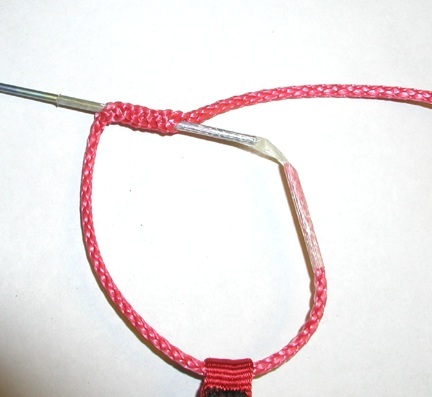 After cutting and tapering the ends The section where each tail enters is worked up into the loop in the webbing of the tether. 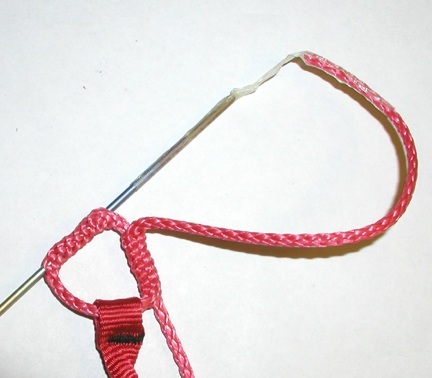 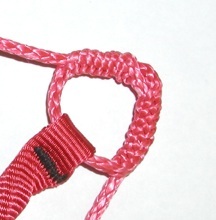 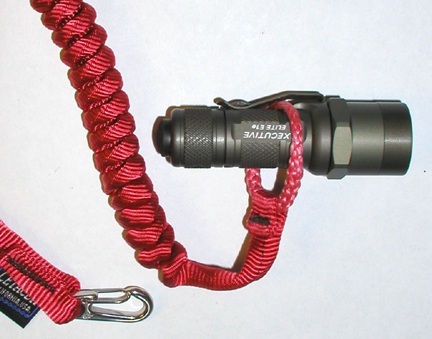 A simple stitch through both the webbing and the loop will lock everything in place.